Fine matte creole adorned by the beautiful clear purple spheres. Fine matte creole adorned by the beautiful clear purple spheres. There is a stirring lightness to these earrings, with the transparent colours and the matte finish. They are beautiful alone, but can be highlighted with a Pilgrim's fine, young stud further up the earlobe. 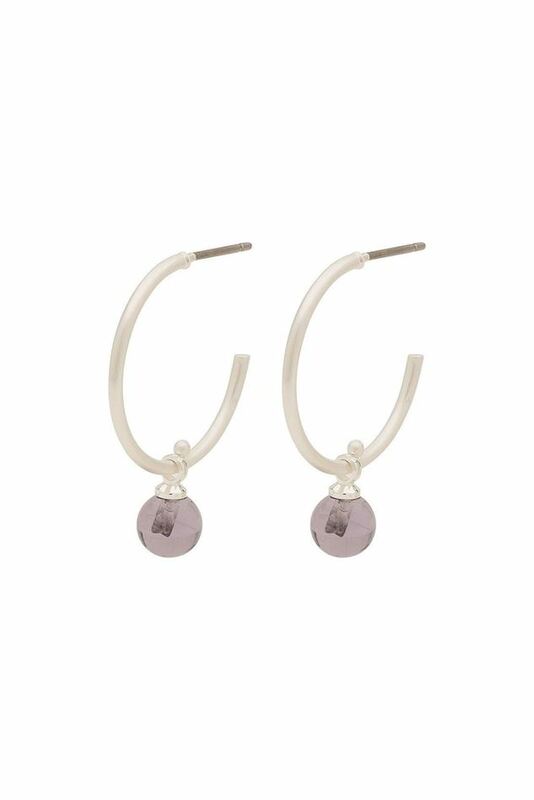 A pair of earrings in a light and feminine design.